Spring has sprung, and Easter is just around the corner! There’s a lot going on at Disney World for the holiday, so let’s take a look! Note: all of the activities listed below take place on Easter Sunday, April 21, 2019 unless otherwise noted. 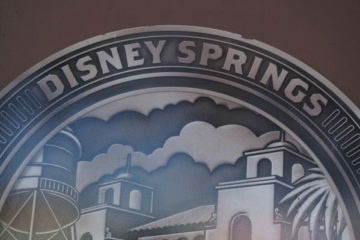 Disney Springs will host several Easter Sunday meals. Maria & Enzo’s Ristorante will serve up a festive buffet from 9:30 am – 3 pm. The whole family will enjoy classic Italian dishes like Mascarpone French Toast, Poached Hen Egg & Quinoa Kale Salad, and hand-carved NY Strip Steak. 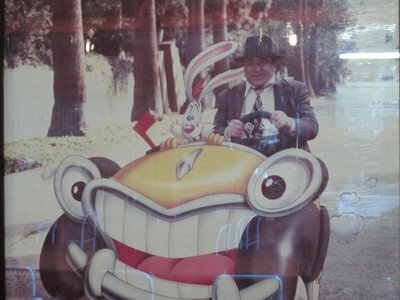 The Easter Bunny will be available for a complimentary photo souvenir. The cost is $45 for adults and $20 for children plus tax and gratuity. For reservations, visit mariaandenzos.com or call 407-560-8466. 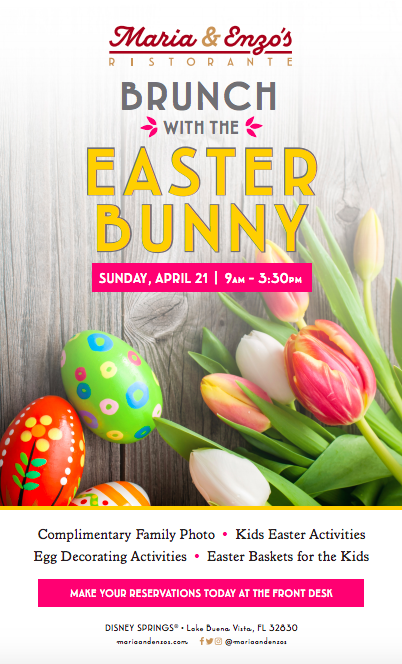 Maria & Enzos is hosting brunch with the Easter Bunny on Easter Sunday! Enzo’s Hideaway Tunnel Bar will also host starting at 10:30 am. Guests will enjoy hearty Roman-style dishes plus three special a la carte items including Spicy Italian Breakfast Skillet, Nutella French Toast, Frittata Rustica. For reservations, visit enzoshideawayfla.com or call 407-560-3696. The Edison will also begin hosting at 10:30 am. Guests can choose from their signature menu or three a la carte specials including Lemon Ricotta Pancakes, Edison Egg Burger, and Smoked Salmon Frittata. For reservations, visit theedisonfla.com or call 407-560-9288. STK Orlando will host a buffet from 10:30 to 3 with brunch essentials, a raw bar, a carving stations, a dessert playground, brunch cocktails, and a live DJ. The cost is $84 for adults and $22 for kids plus tax and gratuity. For reservations, call 407-WDW-DINE. Sprinkles has three themed cupcakes this month, and the Ganachery and Amorette’s Patisserie also has special treats. If you need an Easter basket, stop by Goofy’s Candy Kitchen and pick up one that’s already assembled or buy a basket and fill it with their favorites! Get your Easter family photos at The Marketplace. You’ll find fun props including a huge Easter basket and lots of virtual backgrounds to choose from. 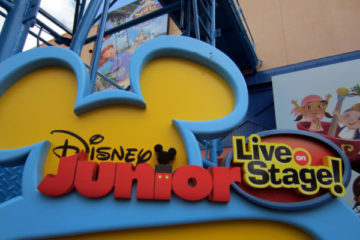 Disney resort hotels will also have a lot going on for Easter! Ale and Compass at Disney’s Yacht Club Resort will host an all-you-care-to-enjoy brunch including flatbreads, seasonal salads, house-baked pastries and spreads, and a variety of entrees plus a specialty mimosa or non-alcoholic beverages from 7:30 to 2. The Wave… of American Flavors at Disney’s Contemporary Resort will put on a show with onstage cooking stations serving up lemon ricotta pancakes, glazed ham, chicken and waffles, smoked salmon, eggs benedict and steak and eggs, and more from 11:30 to 2:30. Other hotel restaurants will also participate in the festivities. Boma – Flavors of Africa at Disney’s Animal Kingdom Lodge will serve a buffet from 7:30 to 2. 1900 Park Fare at Disney’s Grand Floridian Resort and Spa will host from 8 am to 1:30 pm. Cape May Café at Disney’s Beach Club Resort will have Easter brunch from 11:30 am to 2 pm, and Trails End Restaurant at Disney’s Fort Wilderness Resort Cabins and Campground from 7:30 am to 2 pm. If you’d rather have your Easter baskets delivered, you can order special gifts from Disney Floral and Gifts and have them delivered to your Disney Resort Hotel room. Disney’s Contemporary Resort Hotel will host Easter services in the hotel’s Fantasia Ballroom. Catholic Mass will be held at 8 am and 10:30 am and Protestant service will be held at 9:15 am. Most resorts at the moderate level and up will have a candy scramble at 9 am on Easter morning. 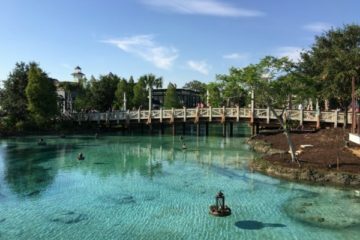 All resorts will have organized activities and character meet and greets in their Easter best, and the most activities will be available at Deluxe Resort, Deluxe Villa Resorts, and Disney’s Fort Wilderness Resort and Campground. All resorts will also have premade Easter baskets for sale between $40 and $65; you can also make your own with the help of a Cast Member. The basket, wrapping, and bow will start at $7 plus tax, and you can fill it with anything you want at an extra cost. The Grand Floridian has an impressive display of chocolate eggs decorated in a variety of themes. 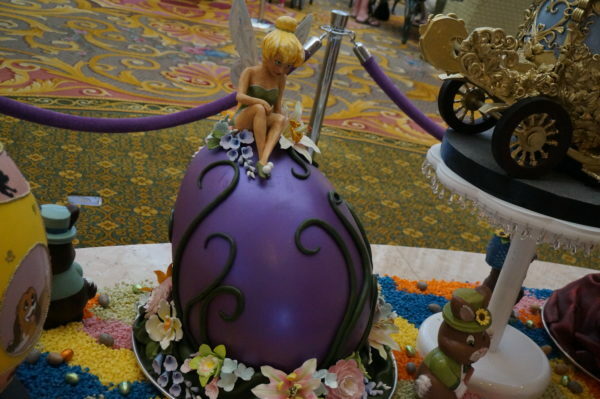 Several Deluxe Resorts including Disney’s Beach Club Resort, Disney’s Contemporary Resort, and Disney’s Animal Kingdom Lodge’s Boma restaurant will have decorated chocolate Easter Eggs on display with the largest display being at Disney’s Grand Floridian Resort and Spa. 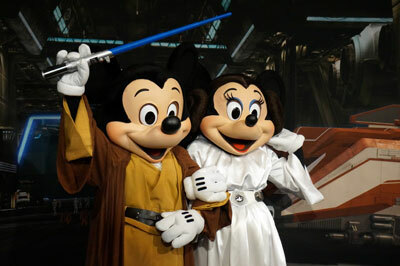 Celebrate Easter in Disney World! At Magic Kingdom, guests can meet Mr. & Mrs. Easter Bunny in Town Square Courtyard between City Hall and Chamber of Commerce on the left side of Main Street USA. PhotoPass Photographers will be on hand to snap some great family pictures! 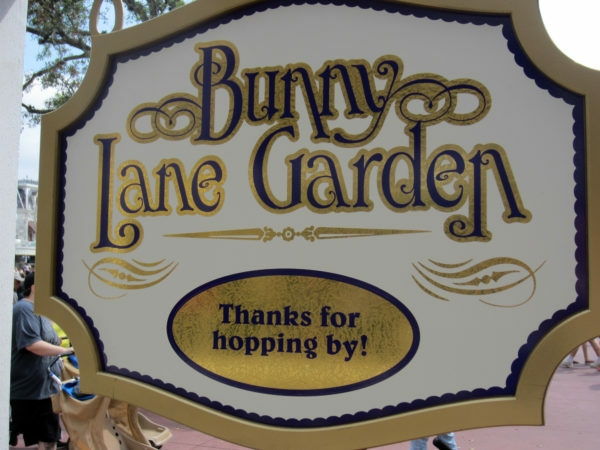 Meet Mr. & Mrs. Bunny at Magic Kingdom! 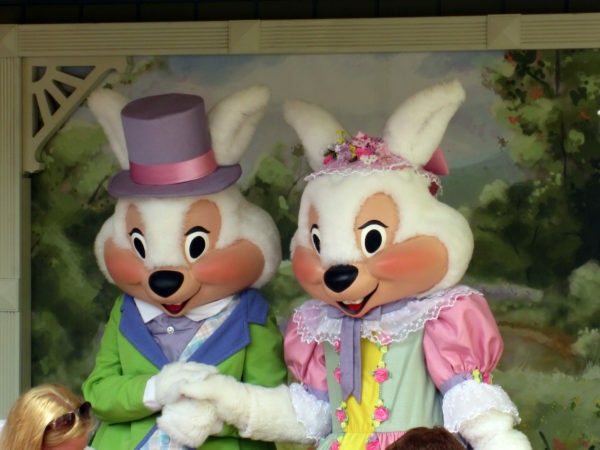 There will also be a special parade before Festival of Fantasy including Mr. & Mrs. Bunny. Joining them is usually Daisy Duck, Thumper and Ms. Bunny, White Rabbit, Rabbit, Clara Cluck, Azalea Trail Maids, butterflies, flowers, dancing hippos, ostriches, and chicks. 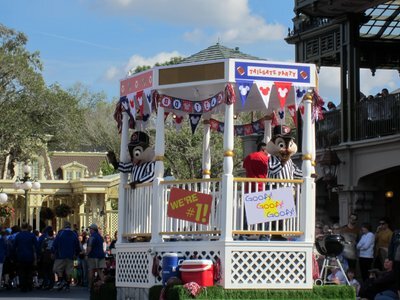 Even the Citizens of Main Street are in the Springtime Spirit with fresh, new songs and a trolley adorned with colorful flowers and ribbons. Stop by the Main Street Bakery for a special Easter cupcake! Epcot will be hosting their International Flower and Garden Festival, and they have a special Egg-stravaganza scavenger hunt to entertain the whole family! Now through Easter, you can purchase a map at Pin Central in Future World, Disney Traders at the entrance of World Showcase, or World Traveler at the International Gateway for $6.99 plus tax. Travel around World Showcase to find hidden eggs and place a sticker on your map to record their location. Return your completed map to Disney Traders for a special prize! The United Kingdom Pavilion will have plenty of Easter activities including an egg hunt for ages 3 to 9, and a smaller area for children under 3, every 10 minutes from 11 am to 3:30 pm. There will also be egg relays for ages 8 to 12 every hour between 11:40 and 3:40 and basket tosses all day in the United Kingdom gardens. These activities are free with admission to the park. To participate, check in at the Easter basket podium up to 30 minutes before the activity; space is limited, so arrive early! Besides these activities, you can meet Mr. & Mrs. Easter Bunny between 11:30 and 4. 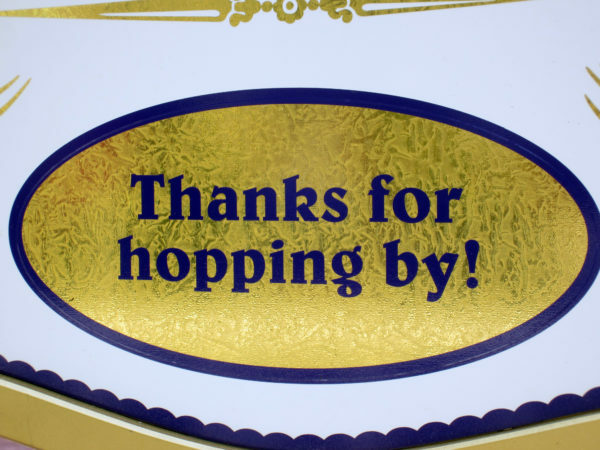 You can find special Easter cupcakes at Fountain View and Sunshine Seasons. Disney’s Hollywood Studios and Disney’s Animal Kingdom don’t have any special activities on the lineup, but they will both sell specially themed cupcakes. At the Studios, stop by Trolley Car Café, Rosie’s All-American Café, Fairfax Fare, and ABC Commissary, and at Animal Kingdom, Creature Comforts. Will you celebrate Easter in Disney World?